Books We Love: Parragon Titles for Your Tiny One! This children's classic features the original nursery rhyme we have all sung to our kids. It also has a fun, integrated fingerpuppet that you can put your hand through via a hole in the back of the book. 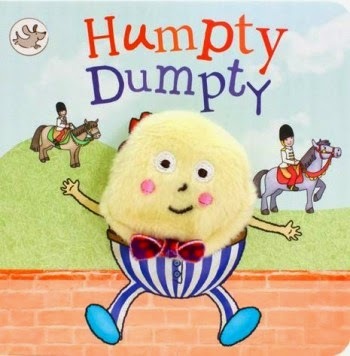 It can make each page of the story come to life, and Manny really giggles when he sees Humpty move! This cute book is 12 pages and retails at $6.99. So you read to your baby? What's the first book you introduced to your tiny tot? Find more exciting reads for all ages at the Parragon website!